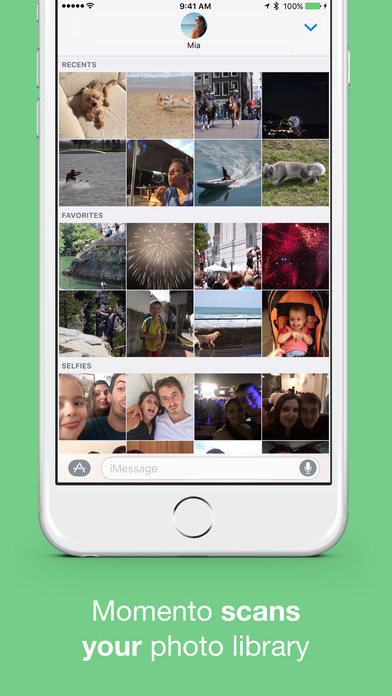 Momento automatically creates GIFs of your best moments right inside iMessage for you to easily share with family and friends. Using a smart detection algorithm Momento automatically creates beautiful ready to share moments using your already on the device photos. 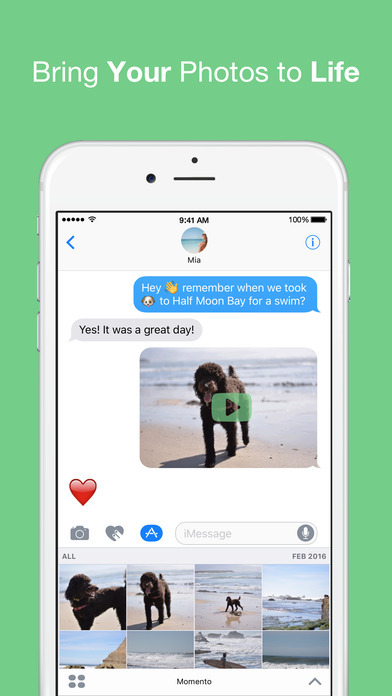 All you need to do is open iMessage, tap on the desired moment and share it with your family or friends. Built by an amateur photographer with a love for photography and building apps that are simple to use and anyone can easily enjoy. 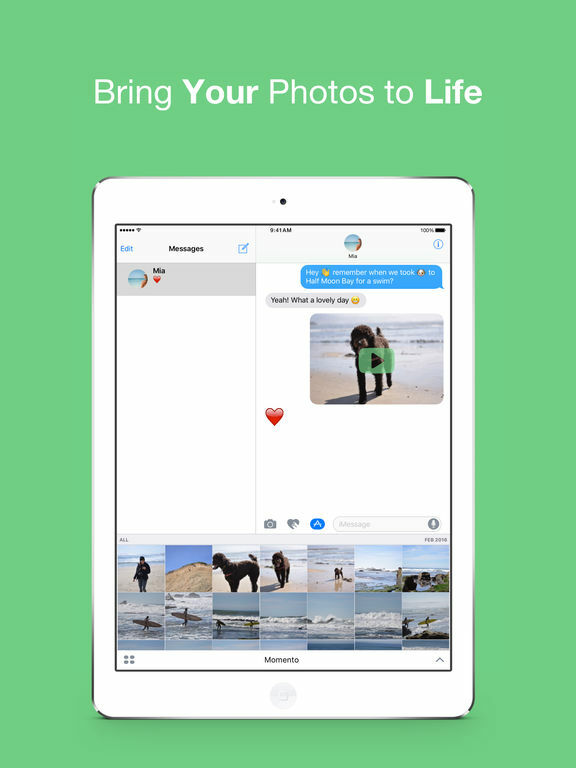 This version of Momento is no longer supported, please re-download "Momento GIFs Bring Your Photos to Life" from the App Store.